Home Analogue lifestyle Where does film photography go from here? It is 2030, in a street somewhere in a major city in the developed world. It might be in Berlin’s Kreuzberg, Melbourne’s Fitzroy, Williamsburg or Shoreditch. The shop we’re visiting is all bare brick walls and odd-sized shelves. Everywhere there are cameras. Giant fridges stock row after row of film, something that was supposed to have died out decades ago. The staff here are young and enthusiastic; they grew up with iPhones and DSLRs but shoot with Pentaxs and Minoltas designed and built long before they were born. Much of their clientele is the same age; they are analogue converts in a digital age. The shop is more than just a place to buy film and old cameras. Out the back is a repair shop, where three technicians work most days bringing Spotmatics and Canonets back to life, family heirlooms and boot sale finds. At least once a week there’s a late night opening with a DJ and special offers, free beer and a raffle. The shops customers spill out halfway down the street, most of them with a film camera slung over their shoulders. Every Friday there’s a vinyl record pop-up; people can buy a Smiths album to go alongside their secondhand camera. In the basement, the shop’s minilab processes roll after roll of Kodak Ektachrome and Tri-X, Ilford HP5 and Cinestill 800, and the dozens of films that have sprung up in the last decade or so. There are some familiar brands from Kodak and Ilford, Ferrania and Foma. But the bigger manufacturers, with their giant coating machines and industrial capacity, have seen their business model change. Kodak’s New York plant now spends half its time making film for smaller players; film photography blogs, websites and retail chains. The fridge is full of unfamiliar names, films born in the 2020s, when the analogue resurgence really took hold. 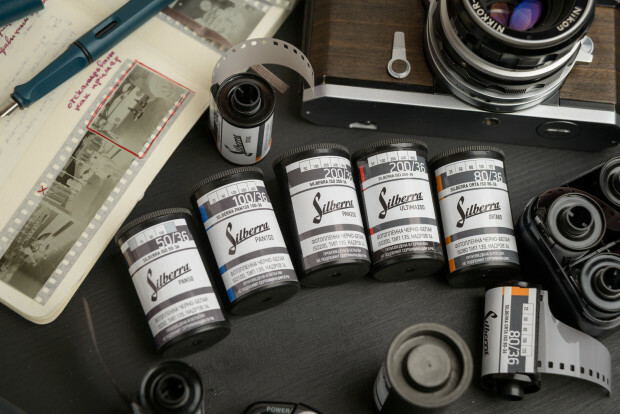 The shop is already making plans for its own emulsion, which will be ready to sell in six months time; they’ve spent the last year working on their own recipe for a 400-speed black-and-white film with an industrial chemist. The film will be made in a new factory in Slovenia built for just this kind of project. It’s the third new film the chemist will have helped bring to market. 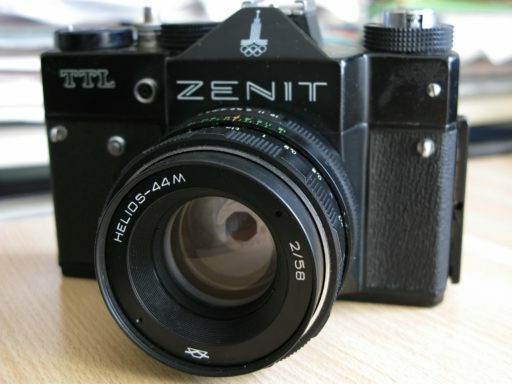 Alongside the old Zenits and Canons and Leicaflexes are new cameras that have appeared amid this rebirth. A new TLR built in the Czech Republic allows you to act out your Vivian Maier fantasies (the camera also logs all the info for when you upload your scanned films to social media). There’s a new SLR designed in France and built in Russia. One film blogger has created a rival to the venerable Lomo LC-A, funded from the crowdfunding site Kickstarter. There are large-format camera kits – just add a lens and you’re ready to shoot 5 x 4 negs. The shop’s minilabs are also new – a multi-partner, open-source project has created a new film processing machine that takes up half the size of the creaking Noritsus and Fuji Frontiers and can be run off the shop’s tablet computer. The minilab sends the scans straight to the customer, who might not pick up their negs until weeks later. And here are desktop darkrooms for sale for those who want to process at home too. Every Saturday, the shop holds a photo walk for customers, giving them each a free roll of film. There’s only one rule on these photowalks – your smartphone stays in your pocket. This is an optimistic vision of what life may be like for photographers a dozen-or-so years from now. As far as we know, there is no new film factory waiting to be built in Slovenia, and if French-Russian SLRs are being designed, then the internet has yet to hear of them. The recent past doesn’t always illuminate the near future, but imagining what film photography might look like in a decade isn’t just daydreaming. If it’s to survive, the film community has to imagine scenarios just like this – and then solve some of the challenges that could prevent it becoming reality. The beginning of 2017 saw film photography gracing the pages of TIME magazine and new films being launched by the likes of Bergger and Ferrania – and the news that Kodak’s much-loved Ektachrome slide film was on its way back too (though that’s now slated for some time in 2018). Kosmo Foto wrote this long-read piece in February, interviewing senior figures at film giants Kodak and Ilford, aswell as smaller companies like Adox and Ferrania, blogger-turned-film-producer Bellamy Hunt and author David Sax, who wrote the non-fiction book ‘The Revenge of Analog’. The consensus seemed to be that after more than a decade-and-a-half of decline – which not only killed scores of film brands but some of the biggest names in film photography, such as Agfa – film seemed to be on the road to recovery. But the new films released in 2017 can’t hide some major issues film photography has not yet been able to overcome. Part of it is due to scale; the nearly one billion rolls of film a year sold in the US at the height of the film market in the early 2000s has dwindled to a few tens of millions a year. 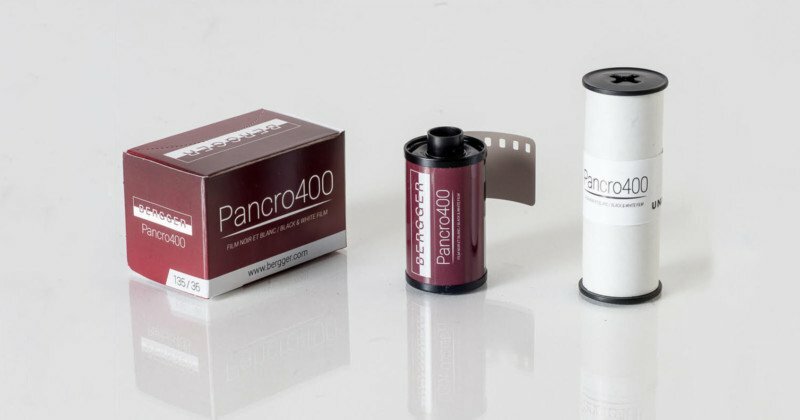 That decrease in the amount of film being produced has had knock-on effects in every other part of the film photography ecosystem. Fewer rolls of film bought means fewer film cameras being manufactured. 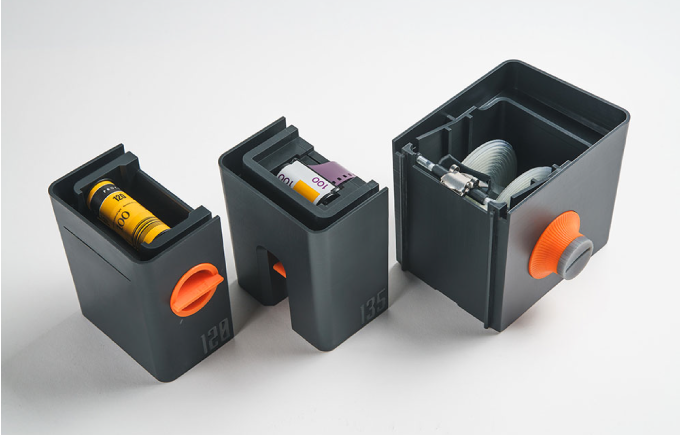 Fewer rolls of film going through cameras means more photo labs going out of business. The less minilabs, the less likely new scanning and developing equipment is going to be made for them. The other thing is time. The year 2000 may not feel like that long ago, but it is nearly two decades in the past. Many film chemists have been laid off as the companies employing them downsized or shut altogether. Many camera repairers have retired or even passed away; some older cameras are almost impossible to bring back to life without such specialist first-hand knowledge. In the years before Kosmo Foto started in 2012, shooting film sometimes felt like a rearguard action; even in a city the size of London, the pool of labs, camera stores and repairers seemed to be shrinking. In the last two years or so that slide seems to have stopped and then – encouragingly – reversed. I see many more people with film cameras than five or six years ago, and more varieties of film stocked by stores that a few years before might have only stocked a few multipacks of Fujifilm and some disposable cameras. A few days before Christmas, sign outside one of the UK’s largest chain of high street developers declared “Film is Back!”. But if film is indeed back, what will help it stay, survive and thrive to 2030 and beyond? Is this resurgence of interest enough to keep it healthy for decades to come? In 2016, Finnish camera shop owner Juho Leppanen put out an ad to recruit more help for his used photography e-commerce platform Cameraventures. “During the interviews I got a gut feeling of what is the situation of the analogue photography community around the world,” Leppanen tells Kosmo Foto. “The recruitment process surprised me, as there where hundreds of people applying globally, from university professors to military personnel, young to old and from all kinds of income levels. The response was encouraging. “I thought I would probably get max 500 replies and therefore left quite a lot of free text type of answer fields. We have now almost hit 8,000 answered forms in seven languages. The idea was to do the form and read the answers one by one in a few weeks and then get back to the work Cameraventures is actually getting some income on – helping camera shops with ecommerce solutions –but it wasn’t really possible. “The Cameraventures team (we are three) got a few freelancers helping and worked through the open answer fields and created a series of result articles and maps that can be seen here. But it wasn’t all good reading. The survey hinted that there were serious issues. One of the main concerns the Cameraventures survey identified was the dwindling amount of qualified repairers – an ever-more pressing issue was the cameras the community shoot with start hitting 20 or even 50 years old. “Locally we are setting up a system in Finland where we could rescue as much analogue camera gear in Europe as possible by 2020. The goal is saving 100,000 cameras by then, but even more crucial will be spare parts, repair manuals, repair machinery and things that find themselves really easily in the dumpster if no-one with knowledge intervenes. We are opening a camera rescue centre with 600 square metres of space to co-ordinate the project in midtown Tampere, Finland’s second city. The Cameraventures team are also trying to spread the hashtag #saveananlogcameras, with an initial emphasis on saving camera repair facilities. One blog that has kept on top of recent film developments better than most is Emulsive, run by a Far East-based Briton called EM. The site has often broken news about new films and cameras, and has given him an overview of the state of film manufacturing, from the smallest players to the established giants. “2017’s new film stocks proved that there’s a growing appetite out there to use it,” he tells Kosmo Foto. “Some of these releases were rebrands but many were new or new-to-market stocks. The impact of this cannot be understated. To me, the challenge for now is increasing the number of real, end-to-end manufacturers at scales that can support the needs of the market. EM agrees with Leppanen that lack of film is not the issue. Far more pressing is finding places that can still process it. “We can – up to a point – live without new film cameras for a couple of years but the most acute shortage in my opinion is that of affordable lab infrastructure at a cost aligned with the current reality labs face: reduced volumes and higher chemical costs. Since the beginning of the analogue crash, worldwide lab infrastructure has been decimated. We need new infrastructure else we’ll see another wave of lab closures, this time more severe due to the small numbers left operating. There were high profile victims in the decline of film in the 2000s – like the demolished factories detailed in the book ‘Disappearance of Darkness’ by Canadian photographer Robert Burley – but much more lasting damage was done at a much smaller scale. Comb any photography forum or film-related Facebook group, and you’ll see post after post from photographers lamenting the closing of the last film-friendly lab in their town or city. Get out of the likes of Europe and North America and the situation can be even more grim. One American photographer Kosmo Foto spoke to this year had recently moved to Armenia – and he said there was only one place in the entire country that could still process colour film. The loss of photo labs and camera shops selling reliable used gear is one of the most visible problems. But EM says there are other problems. One of them is that a new generation of film users is growing up with a distorted vision of what film is capable of. “To my mind the most important thing that has been lost is knowledge and context. The second most important loss is the understanding of the film aesthetic. Many of today’s new film photographers are stuck on the aesthetic of film as being some kind of “real” version of Instagram filters. That’s simply not true. Blame the Millennials? Not so fast, perhaps. As Leppanen noted earlier, much of the growth in film in the last few years has come from photographers too young to enjoy it the first time round. Charlie Abbiss and Tori Khambaita have seen it too. Since 2010, they have been running London’s Film’s Not Dead, a business that combines a blog, gallery, selling cameras, repairs and championing the use of film in London and beyond. On the first and last weekend of every month they run a market stall at Brick Lane Market in London’s East End, selling cameras and film to a predominantly young audience. “I think whenever there’s a change in public mentality it’s often younger generations who create it. So, although younger generations may have firstly switched the trend, they have also given more experienced photographers the confidence to use film again, whether it be commercially or personally,” says Abbiss. That’s another challenge. Most of the shops, photographers, blogs and YouTubers live in developed nations. The return of film seems to be, at least through the window of the internet, a plaything for those living in the likes of the US, UK, Japan and Germany. But Leppanen has seen some heartening developments in those responding to the Cameraventures survey. “It is changing fast and very locally,” he says. “For example a lab in Moscow just contacted me and told about 10x growth in monthly amounts of developed rolls in the last year-and-a-half. “According to #saveanalogcameras, analogue photography has the best future in some of the biggest emerging economies: Brazil, Philippines, Vietnam, Indonesia and Russia,” says Leppanen. “All of these had a very young newcomer analogue scene. The only thing that might restrict the growth of the scene in these countries is if the global camera selection does not reach them or prices rise to double or triple what they are now. “Developing, chemicals and scanning is mostly manual labour and labs can pop up with reasonable starting investment (in theory an Epson v700 and a Jobo + tetenal kits is all you need if labour is cheap). Film itself is going to be cheap still for the next five years, because the big machines producing Fuji C200 or Kodak Colorplus are not going to shut down anytime soon. Emulsive’s EM agrees that film is still cheap enough in most places to avoid it becoming a plaything of the rich. “Film will continue to be a creative choice and I believe that costs for it will remain largely as they are today: there are expensive pro films and expensive pro cameras but there are also cheap films and cheap cameras; and everything in between! Photographers will remain spread across the entire spectrum. The digital compact camera is one of the objects behind film’s momentous decline in the first decade-and-a-half of the 21st Century. Small, easy to use digital cameras took away much of the casual market who might have bought a dozen rolls of film a year. That demographic wasn’t passionate about the qualities of film – it was a way of recording their memories – but they represented a huge slice of the film market. When that demographic deserted to digital, it broke the industry. But the compact digital camera’s reign was short. In 2007, Apple’s iPhone was announced – a device that changed photography forever. The iPhone boasted a capable camera and the ability to post that on emerging social media networks like Facebook with a few clicks. It wasn’t the first mobile phone with a camera – credit must go to Sharp’s J-SH04 from 2000 – but it was the first to make sharing them so easy. The iPhone, and a plethora of internet-connecting smartphones that followed, helped make everyone a photographer. And oddly, that might have helped film survive and even thrive. Perhaps only a few percent of people who shoot on their smartphones might become curious about film but that is still tens of millions of new photographers. “I think the resurgence of interest in film is a realisation that digital isn’t always the answer,” says Michael Pritchard, a photo historian who is director general of the Royal Photographic Society in the UK. “Some of this is partly nostalgia from individuals who grew up with film and are returning to it, but there are students and youngsters who have only known digital photography. They see creative opportunities with film and are using it alongside their digital cameras. The RPS is the world’s oldest photographic society, and every year runs a giant camera fair called Photographica in Victoria in the heart of London. It’s a treasure trove both for serious collectors and those looking for a cheap film camera. 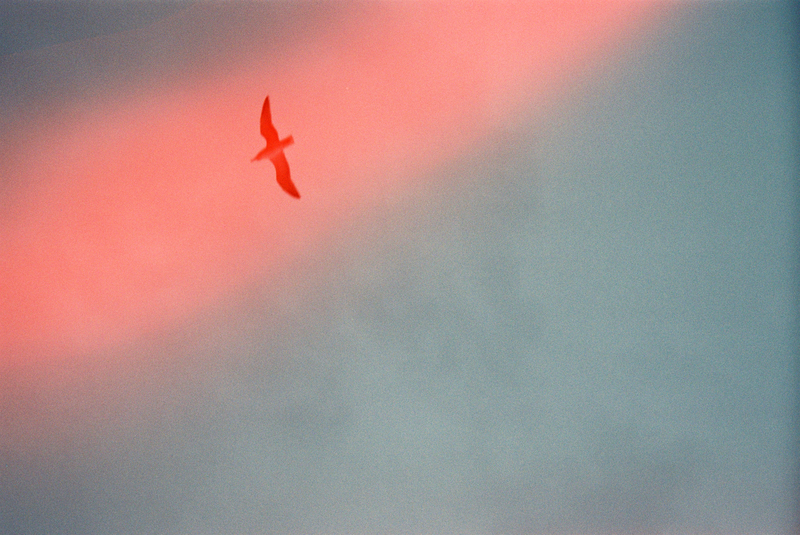 “A look around the Photographica fair shows plenty of under 30s buying film cameras. But it is only part of the story. 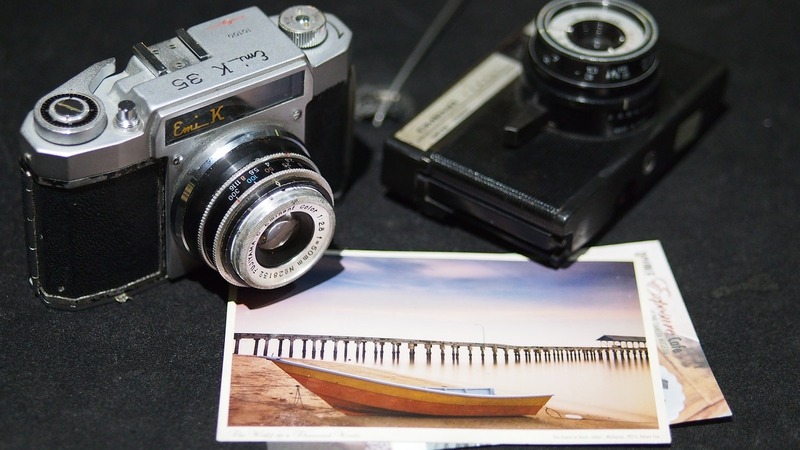 Nostalgia is certainly a factor, too, and that will not continue indefinitely, so it’s important to continue to show photography students and artists the creative potential of film and traditional techniques. I think the rapid spread of digital has seen some photographers take up ‘slow photography’ to help them think about what they are doing and to make each frame count – a bit like the ‘slow food’ movement. The very digital revolution that pushed film into the mainstream is perhaps its greatest lifeline. Like so many hobbies and past-times, much of the knowledge transfer and chatter has moved online to chat groups and forums. The internet has also become the world’s biggest camera store. In 2016, Bellamy Hunt announced and sold his first film – JCH StreetPan 400 – through his blog Japan Camera Hunter. The film was produced in Belgium, transported to Japan, and then sold around the world. Within six months, he had sold out the film’s first run of 10,000 rolls and ordered another. Early in 2017 he announced the film would be available for 120 cameras too. The rise of crowdfunding sites like Kickstarter or Indiegogo has allowed people to fill other gaps in the analogue photography scene. One example – an optimistic pointer for where we may end up – is the Italian outfit Ars-Imago. Ars-Imago is a photography shop in Rome, the second branch of a company that began in Switzerland in 2004. Sensing there was a gap in the market for photographers who had no easy access to either labs or darkrooms, the company began work on a film developing tank that could be loaded in daylight. Daylight developing tanks are nothing new – photographers on assignment used to carry them so they could develop their films on the go. But Ars-Imago’s Lab-Box was specifically built for hobbyists, not professionals having to develop film in a hotel room. Itwas launched on Kickstarter in February. Few could have predicted what would happen next. Nearly 5,000 people pledged before the Kickstarter ended, raising more than €650,000 – nearly 10 times Ars-Imago’s goal. “The result we reached on Kickstarter with Lab-Box is incredible, we didn’t expect this kind of reaction,” says Ars-Imago’s Giorgio De Noto. “Digital changed our life and the way we make pictures, video etc. It was an epochal revolution and initially dominated everything. I think that people, day after day, understood that analogue and digital are just two different means that can coexist together, both in the professional and amateur practice. “Maybe we just overestimated that digital would erase analogue photography and it’s quite interesting that the renaissance of analogue is happening now just as digital is almost reaching the analogue quality in terms of resolution. They are just two different things. The success of Lab-Box shows that the analogue community is looking for more than just new film. So what else could be launched? Fast forward to September, and Hunt announced that he was designing a new high-end film compact when he was a guest speaker at Cameraventures’ symposium on the state of film. The camera – intended to replace pricey autofocus cameras like the Yashica T4, the Contax T2 and Nikon 35Ti – is still in pre-production. Hunt hopes a finished camera may be available towards the end of 2019. Just weeks later, another camera project hit Kickstarter. 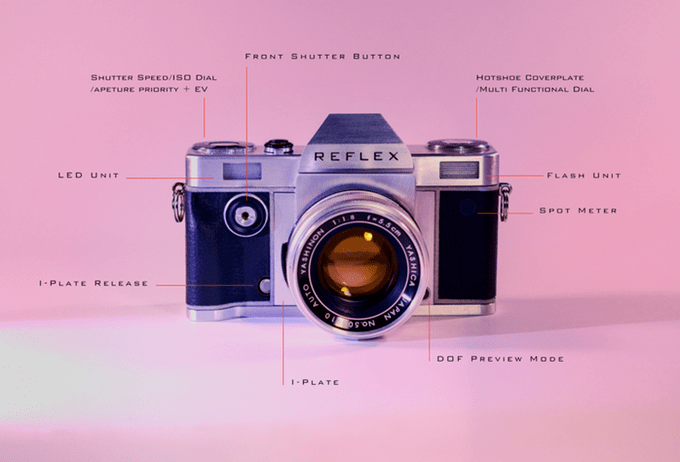 The Reflex SLR, designed by a team led by London-based photographer Laurence Von Thomas, is a 35mm manual SLR with a difference; it’s modular, with removable backs allowing you to switch between different films, and a removable lens plate so the camera can mount different lenses. It too was a success, raising more than £130,000 on Kickstarter. The finished cameras are expected to be available sometime in the last third of 2018. The camera’s modular design – plus such innovations as an LED flash and constant illumination light and rechargeable DSLR-style lithium battery for the meter – have helped make this a truly noteworthy design. This might be the only film camera ever made that comes with a USB stick for recharging. (Kosmo Foto approached Reflex for this story, but did not get a response). A plethora of other projects have also widened the film footprint in the last 18 months. The team behind the Dubble app produced two colour films this year with light leaks already etched on to the film. Sam Cornwell’s Solarcan – a soda can pinhole loaded with photographic paper that captures ethereal images of the passage of the sun over days, weeks and months – was also funded through Kickstarter. “There’s so much activity that in some ways it feels like we’re starting again,” says EM from Emulsive. “Think about all the new products and plans from people like Reflex, Intrepid, Ihagee, JCH, Chroma, Solarcan, New 55, Cinestill, Bergger, Ferrania, Kosmo Foto, Dubble, Washi, Revolog and Kono. It could be misinterpreted as too many players seeking too much of a very small pie but speaking from my place in the community, it feels more like the need for choice being addressed by those who are listening. When Kodak applied for bankruptcy protection in January 2012, the era of the giant film factory appeared to be over for good. Though the US film producer survived – and seems to be on the cusp of bringing new emulsion out for the first time in years – its brush with death marked the end of something. Leppanen says the film market is much smaller, but with that comes a greater flexibility. “We are living a time of transition, where the reborn analogue industry is growing and doing well and the last bits of the old behemoth industry are crumbling and making the whole concept of film look undesirable and/or outdated. “I would see that the most pressing challenge would be try to grow more and more modern creative hubs that work constantly with the questions surrounding film. These might be companies within the industry (developing labs, camera shops, tech providers, journalists/bloggers) or young creatives of other backgrounds (videographers, dancers, fashion industry, engineers) united by the desire to save film. These hubs then hopefully will react to the biggest problems they face by making innovative new solutions be it thru crowdfunding, investor money or by purely putting their own time into it. “The problems that we face at the moment is the manufacturing of a suitable scale automated processing machine, creating a fast and efficient scanning solution for both home and professional use and the fact that tens of thousands of cameras are yearly trashed or recycled into materials by the general public as they think film cameras have no function in a digital world.” Cameraventures is trying to help alleviate the last of those issues, Leppanen says, with a new site called camerarescue.org. The companies still operating in the film world – apart from Kodak and the UK-based Ilford – are on a smaller scale to the factories operating at film’s peak at the turn of the century. “Many large film companies simply stopped existing because it was cheaper to do that than to down-size,” says EM. “Many of them were also the incumbents. They were (and mostly still are) the same companies that were there in the beginning. It’s only new entrants – and I count Ferrania among them – that have a baked-in fear as to the volatility of the market; and it’s those companies that are going to lead a change in the way future film companies are going to be bolted together. I think the market has only recently gotten to the point where new industry entrants are confident that there’s business to be had and money to be made. In some ways, the analogue crash has made the industry stronger because it’s learned how to take a beating, get back up, brush itself off and get back in the ring. The onus has fallen on those within the film community to champion it – and in a way help to form the medium’s future shape, as producers react to their wants and needs. Even some of the oldest photographic institutions are starting to adapt to this new mindset. Cameraventures’ film survey seemed to be a product of its time. A few years before, many film photographers seemed resigned to their hobby becoming more problematical – film would become scarcer, more expensive and harder to develop. But now, perhaps partly due thanks to the Impossible Project’s rescue of the last functioning Polaroid factory and Ferrania’s first forays back into film production, something has changed. The people who shoot film feel more invested in its future. In a few cases already, they have helped fund new products that they want. Decisions are still taken in boardrooms in the bigger companies, but much more of the market is being catered for by smaller companies, smaller outfits that can perhaps take more of a risk. Leppanen and his team of volunteers have pored over thousands of replies, all of them a possible signpost to what future film photography may have in five years or 10. Wonderful overview of the state of film photography! From all the projects you mentioned, one is curiosly missing: the PONF Multiback Open Camera (www.ponfcamera.com). We are making a reflex with interchangeable 35mm film and full-frame/APS-C digital backs. PONF, an acronym for Photography ON Film, is an open project, aiming at fostering cooperation rather than competition in the film industry. We beleieve that film can be revived, but only initially putting together the efforts and the knowledge to build a tangible market, where everyone, at a later stage, could have a proper space. We encourage participation in our project, to bring a new camera on the market in 2018. What a great read. Yes I still feel like a 55year old dinosaur who loads film into a camera, develops the film and then makes prints in his tiny darkroom, but it’s good to know a younger breed is slowly following on. Long live film. I think the future for B&W Film photography looks reasonably healthy. However If Fuji are slowly exiting Film as some are saying, and with Kodak looking shaky again with their stock price tanking, the market desperately needs a new player to start producing colour film. Can film photography survive as B&W only ? Lots of ups and downs for films outlook. Overall the article left me though with a feeling of inspiration. Producing film seems within reach for many small companies and even individuals. Producing cameras, good cameras, will be the hard thing to achieve. And if the big companies can’t be convinced to do it, I think the key is for a small company up for the challenge to grow into a big one with the support of the film community. Fantastic article. Thanks for a great read. You also didn’t mention the Jollylook camera, one Kickstarter that’s blown everyone out of the ballpark in the insane ratio between how much money they needed and what a high amount of combined pledges they got within a few days, even if they’re still suffering of similar production delays as the new Ferrania. This is insane, you have completely ignored one of the most important parts of the analog process, the actual PRINTING of photographs from the negative!! I am currently building a large darkroom in which to both print my images and conduct workshops and my enlarger of choice has all but vanished and has tripled in price. The need for affordable darkroom equipment is just as important as the need for cameras. I can’t believe you neglected this. Hi, Could you tell what is that black camera on the right of the first image? thanks… It looks nice. Thank you for such a positive and thought-provoking article, Mr. Dowling! It was well worth the long read. I know that we at FILM Ferrania share your vision of 2030 and beyond. Thanks Dave – I’m very optimistic about the next few years. And I know a lot of people like me who will be doing out bit to make sure there’s still film cameras and film around in 2030 and beyond. merhaba, bu harika makale için çok teşekkür ederim.amatör olarak film fotoğrafçılığına devam ediyorum.